View other bears from Steiff Pets & Farm Animals. 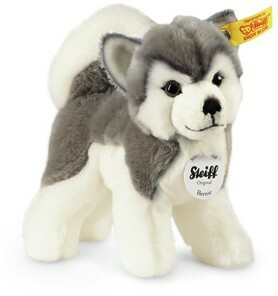 Bernie Husky dog from Steiff is a gorgeous, cuddly pet with no up-keep (apart from an occasional wash!). He's made from the finest soft plush fur in white and grey. He has a friendly face, beautiful blue pupil eyes and a big strokable tail! Suitable for all ages, is machine washable at 30°C and comes with the famous Steiff "Button in the ear" and classic yellow ribbon tag. This animal has got the Spiel Gut (Good Toy) recommendation, which means that it has been tested by children and examined by experts, with a positive result. It meets their requirements for play value, durability, safety, material, construction, workmanship and design. 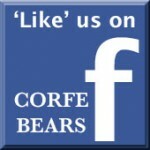 We are an established Steiff Club Store, so you can buy in confidence from us.